What is First Friday Weekend in Kansas City? Often at different events, we will meet people who have never been to the West bottoms or First Friday weekend. My first thought secretly, "Seriously?! Where've you been hiding!" Then normally before giving it a second thought I just dive in and tell them what they're missing. The problem, however, is always where do you even start. You could start with the historical buildings and all of the history of what was the once original part of our KC. Where Pioneers came as they traveled West. Where it wasn't rare to see streets full of cattle as the stockyards were starting to build this city's rich cattle heritage. Then there is the tragedy of the floods and the total destruction and loss. 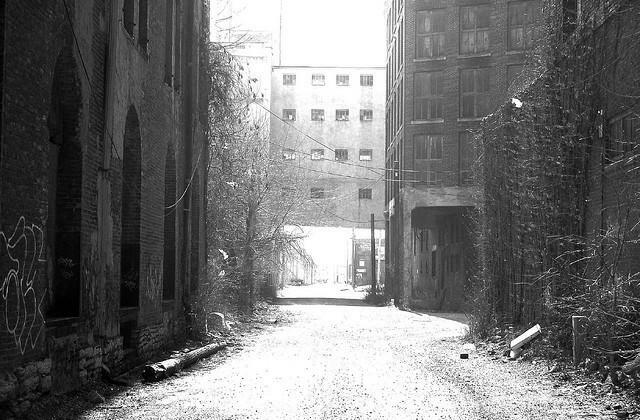 Rebuilding and restoration is something the West Bottoms has done again and again. 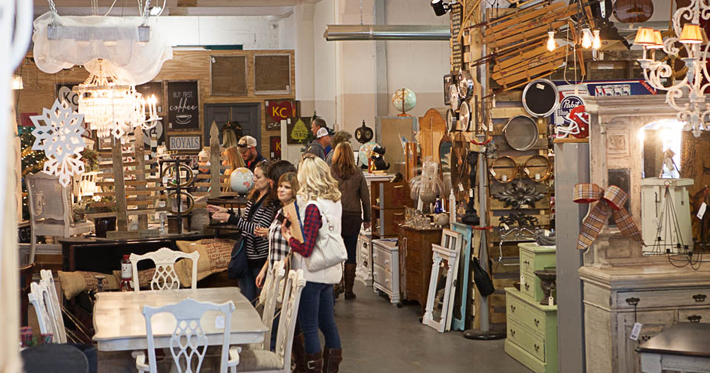 The easiest story is to talk about all the amazing stores that are literally overflowing with one-of-a-kind treasures, architectural salvage and miles and miles of amazing home decor. The stuff I'm talking about friends is beginning to rival that of the best antique and flea market shopping anywhere in the country. This coming weekend thousands of people will pour into the Bottoms because it has become a shopping destination. People of Kansas City get out of your homes and get down to the West bottoms! Folks, don't let your friend from out of town get that amazing piece for their home before you do!! The best tip I can give you is that First Fridays is all about being first. Show up before anyone else and be here when the doors open. 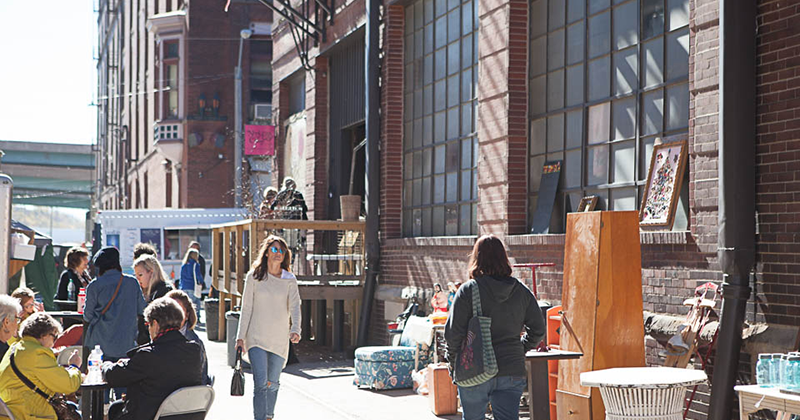 Then have fun finding an amazing one of a kind piece at your favorite shop (RE) and don't forget to grab a yummy street taco from any of the food trucks while enjoying the spring weather in KC. Kansas Citians winter is over! It's going to be great this weekend and if you've never been to the West Bottoms let me take this opportunity to personally invite you to be our guest!